Annual Winter Holiday Open Studio Event! will be open and have items available for purchase! Browse our gallery of new, finely crafted objects in clay. See what our 50+ membershave been up to this past summer & fall! 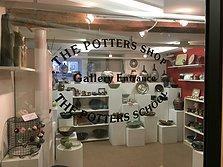 Enjoy refreshments and take a walk through the studio among working potters. pottery books and tools for sale. Good for memberships, classes, firing, clay, books & tools. 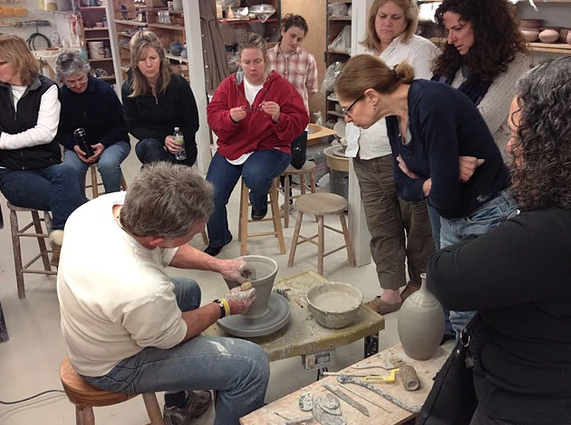 This image is Steven Branfman, the founder and director of The Potters Shop & School, giving a potters wheel demonstration during a previous Open Studios. We will also have information on our adult classes and studio membership.